After 9/11 my husband and I moved from Florida to rural Tennessee and began a “prepper” life on just five acres of land. We haven’t always been successful at what we’ve tried as we are constantly learning through trial and error and old fashioned research, adjusting our plans as needed. Unlike what television would have you believe, not all preppers and survivalists are lunatics running around in camo, carrying military guns, building booby-traps, and buying enough long term food storage or storing enough canned foodstuffs to feed a small town on their own, that’s not how to become a prepper. They aren’t all teaching their preschoolers the proper way to put on a gas mask or light a dynamite fuse. That doesn’t mean they don’t have camo and guns in the closets, or even canned goods and other stockpiles of food and ammo stashed within their houses. It just means they aren’t advertising that fact and probably aren’t close enough to you to share their knowledge. For years we all envisioned survivalists partaking in what I listed above. They were the ones who holed up in complexes usually filled with men, women and children who believed the same way, all fully armed and anti-government. They would practice army type training constantly, crawling through barbed wire and climbing walls in preparation of an attack from God knows who. That’s how mainstream society would have you believe that you become a prepper. Truthfully, survivalists are nothing more than a prepper. They are determined to survive whatever event might take place that would take away the comforts we have become accustomed to. They are usually well armed, but only as a means to protect themselves, their families and their supplies during a chaotic event. Preppers know how to start a fire without matches, and they know how to cook over that same fire without burning dinner too badly. They, at the very least, have a working knowledge of medicine, enough to treat wounds and illnesses, often using natural remedies. They can find a way to stay dry in a torrential downpour. Preppers and survivalists have managed to safely put away enough supplies, food, medicine and other needs to survive for a minimum of several weeks, often several months and sometimes a year or more. I proudly call myself a prepper. 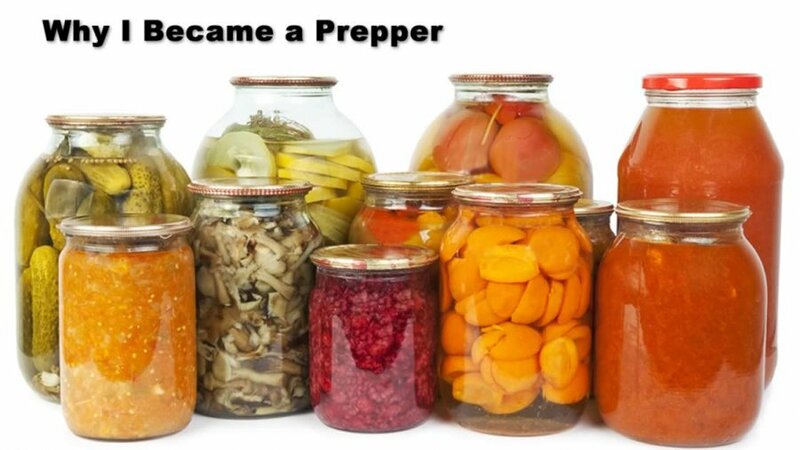 I’m not a “doomsday” prepper necessarily, as it may not take a doomsday for me to have a need of the preparations my husband and I have been making. I don’t need to tell you that this is a volatile world we live in. There are constant threats from every direction including our own backyards. Are you prepared? Earthquakes, hurricanes, bombings, sunspots, tornadoes, floods, financial collapse, invasion, and martial law are all just a few of the possible events which could cause an emergency situation which could last days, weeks or even months. Are you prepared? During that time you will probably not be able to purchase groceries or gasoline. Chances are you won’t be able to even get to the store providing your car is still working, as the roads could be blocked or damaged. Are you prepared? I have been prepping to some level or another for nearly ten years. I started slowly, as I would suggest anyone thinking about joining us do. You don’t have to be wealthy or go into debt to prep. Initially, it’s just a question of trying to decide what your needs are or will be. Remember, even in the worst of times, the more familiar you can keep life the easier it will be to get through. I still don’t know all I need to know about surviving a disaster. I’m not sure anyone can ever be completely sure or knowledgeable. Just like packing for a vacation, there will always be something you forgot. We’re just going to try and make sure we forget as little as possible. So join me as I lead you from the beginning to now, how I got here, what mistakes I made and what successes I enjoyed. In the meantime, I will touch on a variety of subjects including gardening and preserving seeds, animal husbandry, supplies every prepper should stock and many other things. I don’t want anyone to suffer should bad times come upon us. I don’t want any child to go hungry or any parent be frustrated because they never learned how to become a prepper, and realized too late that they are unable to provide for their family in times of disaster.